Have you ever wondered what some of the older Science Fiction series would look like if they were made if other countries? Doctor Who made with an American Time Lords with Texan accents. Or Lost in Space made in Turkey. Here is my take on The Greatest American Hero that I would’ve love to watch. 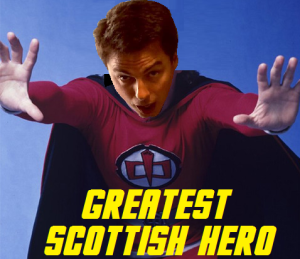 The Greatest Scottish Hero Starring John Barrowman!